You cannot plant seeds or plants into soil that hasn’t been stirred up or amended. You cannot stick seeds for new growth into existing soil beds that already have plants growing. There is no space or nutrients for this new growth. In the same way in order for you to have growth, in order to step into the next best thing, you too need to be stirred up, amended and woken up from your status quo so that you can Be, Do, Have the next best thing in your life. 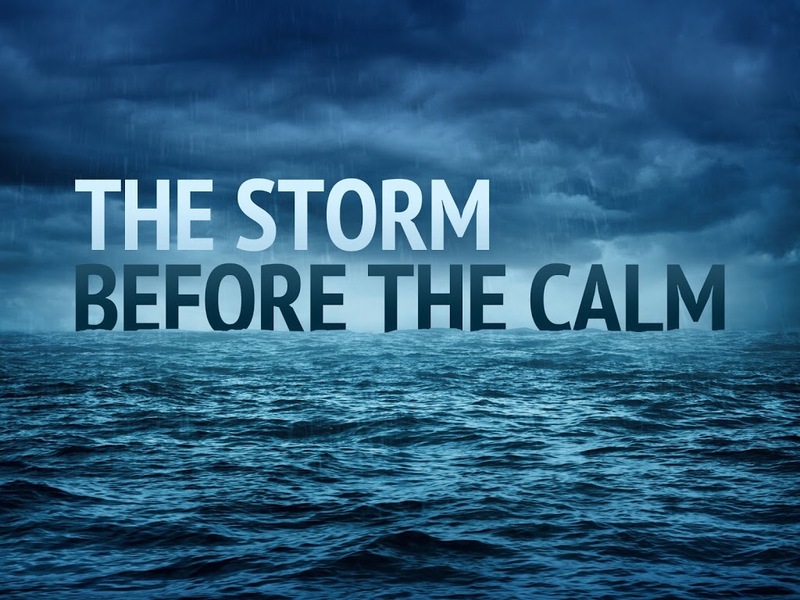 It feels like the storm before the calm for you because you’re being shaken out of your reverie. Human nature doesn’t like change. It is resisted. Hence change has to come in a way that makes it a necessary one, often one that is seemingly out of your control. However the more self aware you get, the more you will realize that you do get early warning signs about the change. You usually ignore or overlook them because they aren’t as painful or uncomfortable. Only once we get to that level of discomfort where it is untenable, then that is when you are willing to change. Your job is to get hyper aware and heed the early warning signs for yourself and then change will become second nature and you won’t resist it; rather you will welcome it.